The Gfp 200 Series laminators are the affordable alternative to time-consuming hand finishing with rollers and squeegees. Now even the smallest shops can compete for bigger jobs with confidence. The Gfp 200 Series will shorten production time, increase profitability and produce consistently professional results by delivering essential features found on systems costing thousands more. The Gfp 400 Series laminators are money makers. Easy to operate, they’re a favorite with operators that prefer a simple time saving setup and variable roller gap adjustment. 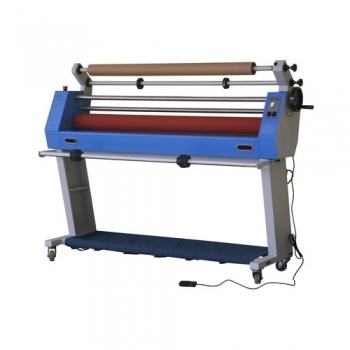 Ruggedly built for applications that require overlamination, mounting or the pre-coating of boards, the 400 Series laminators are available in 55” and 63” widths. Thanks to oversized rollers and 1 inch roller gap, you’ll be making money in no time.